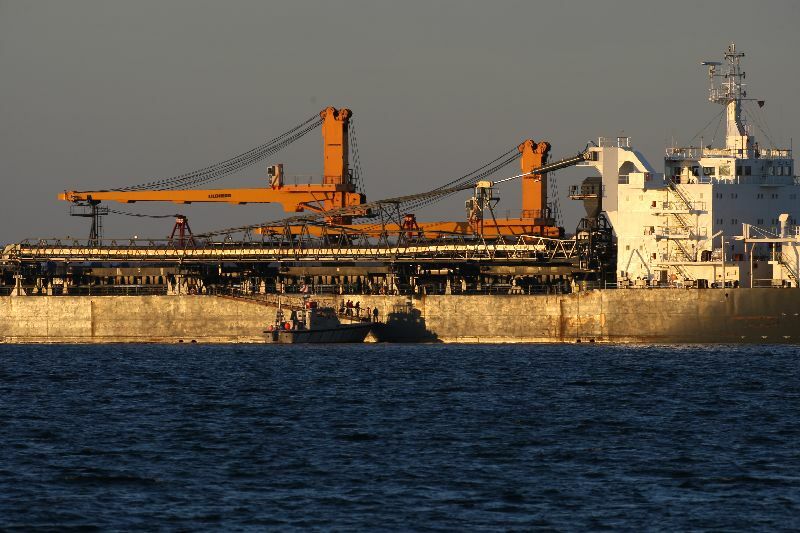 Johanna Oldendorff is shown discharging her pilot after a successful journey into the Jamestown Anchorage in Narragansett Bay on April 17th 2008. Note, as the pilot is walking down the ramp, does he have one or 2 pilot boats to choose from? Comment Thats cool! How long after the ship anchored did the pilot disembark?